Convert your existing shower into an overhead shower with ease. This exposed Croma Green showerpipe system has everything you need add an overhead shower head and handshower to your existing piping connections. 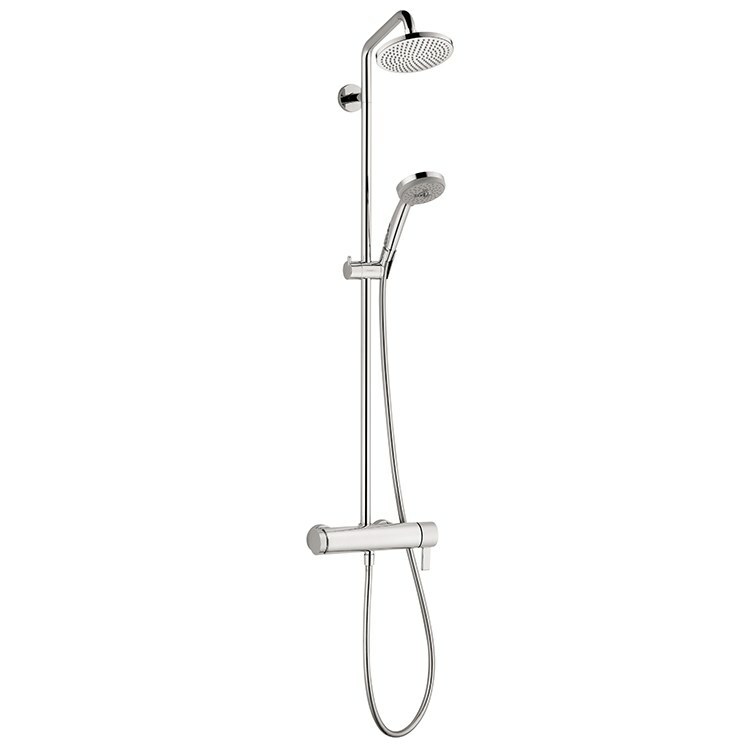 The system features a Croma 160 Green single-function shower head, a shower arm, piping with mounting brackets, a Croma E 100 Green three-function handshower, an adjustable holder, and a 63" Techniflex hose with standard 1/2" connections. 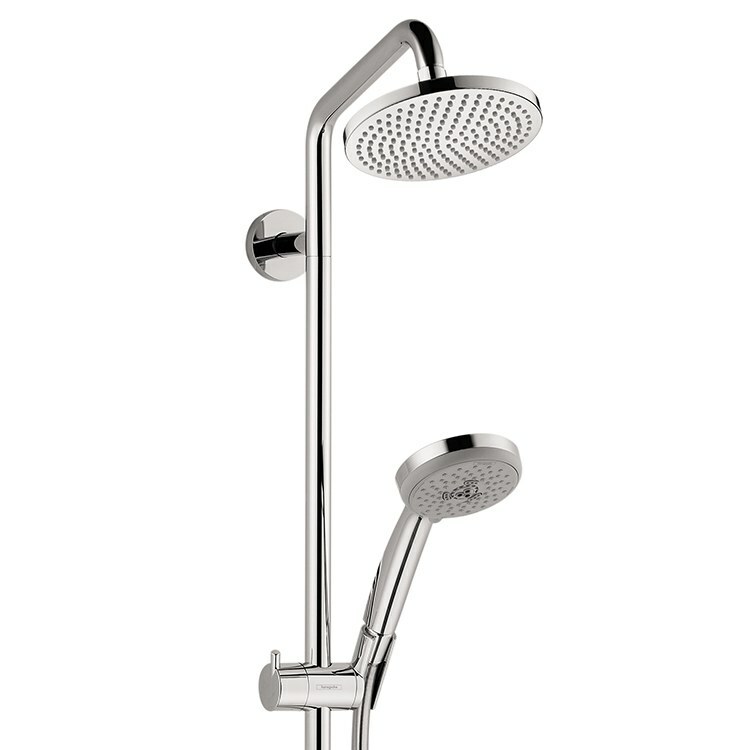 The 6-1/4" diameter shower head has 178 no-clog spray channels that deliver a Full spray pattern. The three-function handshower features 75 no-clog spray channels, a 4" diameter spray face, and offers the choice of Full, Pulsating Massage, and Intense Turbo spray modes. 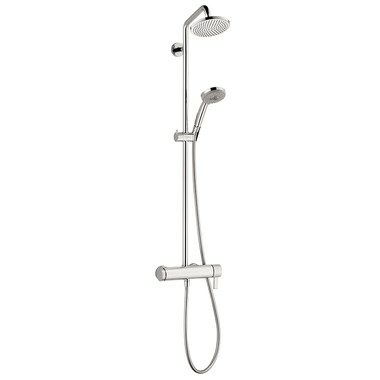 The showerpipe system measures 43-7/8" high overall when installed.